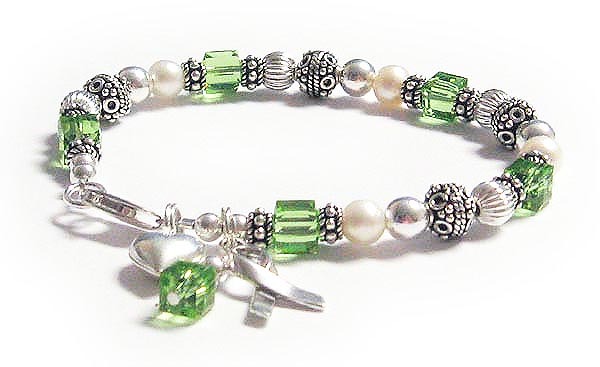 A Light Green Ribbon Bracelet symbolizes Celiac Disease, Lymphoma & Leukemia Awareness. 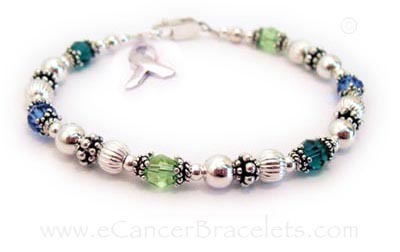 The designer bracelets, necklaces and earrings I designed and created are intended to provide inspiration, hope and strength to people with celiac disease and lymphoma patients, past and present, and to their family and friends. Feel free to contact us with any questions 615-490-2177. 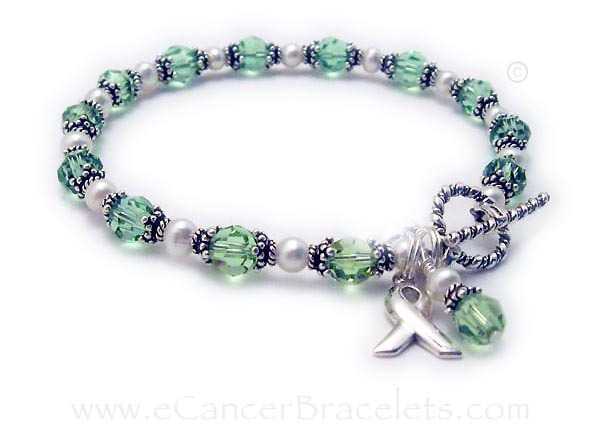 Light Green Crystal Ribbon Jewelry can also symbolize celiac disease, leukemia and lymphoma. 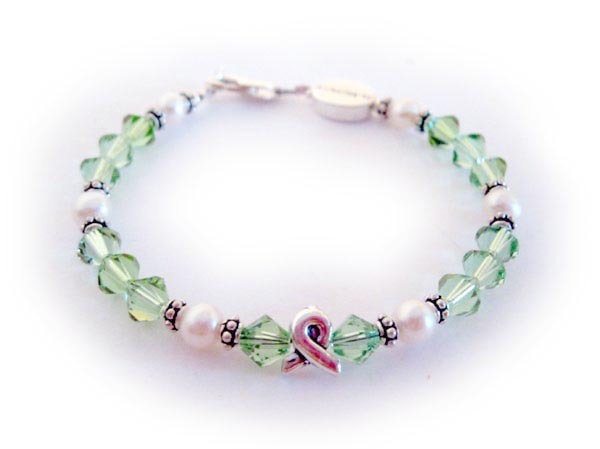 We have over 40 different designs, styles and options of Leukemia, Celiac Disease & Lymphoma jewelry... 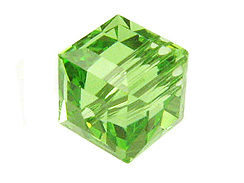 There are a few shown below ... Click here to see all awareness bracelets, necklaces and earrings. 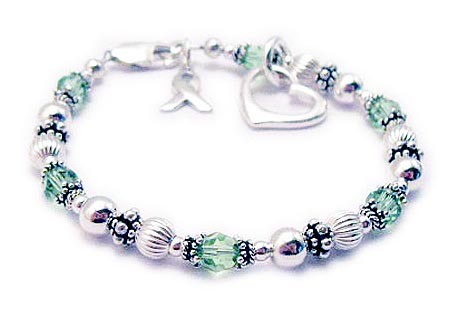 This bracelet is shown with an add-on SURVIVOR bead and an OPEN HEART CHARM. 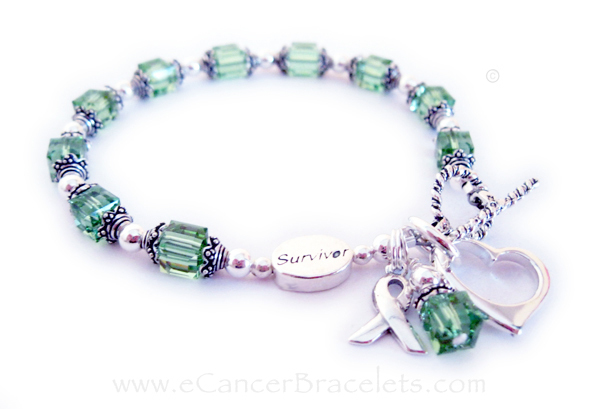 Lymphoma Cancer Bracelet This bracelet is shown with light green crystals signifying Lymphoma. It is also shown with a lobster claw clasp. 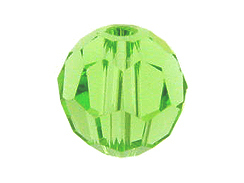 The puffed heart charm shown is optional.